- From Sukhumvit, turn onto Thepprasit road (see Outlet Mall at the junction). Then drive straight down to the road, heading to Jomtien beach. After seeing PTT gas station on the right. Keep go straight until you see 7 Eleven store. Next to 7 Eleven is the shop. 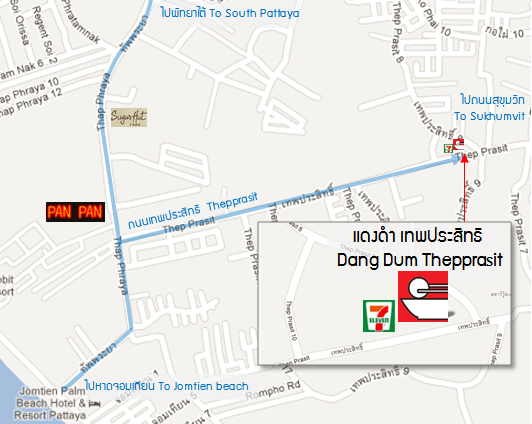 - From the Jomtien beach, Pratamnak road, or Tub Phraya Road, turn onto Thepprasit road (opposite to Grand condotel). Then drive straight down to the road, heading to Sukhumvit road. 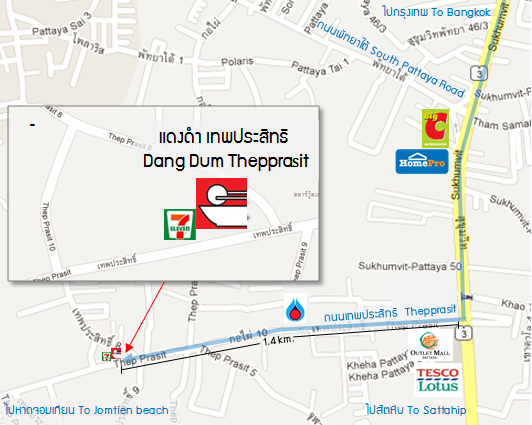 After seeing Soi Thepprasit 10, in next 150 meters you will see 7 Eleven store. Next to 7 Eleven is the shop.